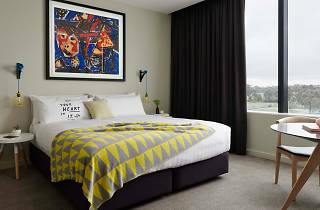 Launched in 2015 by the Art Series Hotel Group, the Larwill Studio is situated just north of the city centre in leafy Parkville. 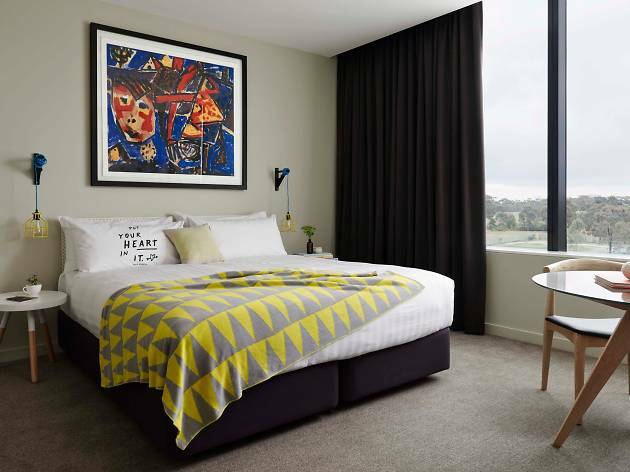 Featuring Art Series Signature bedding, artwork by David Larwill, an art library, yoga mats and EVO amenities in the bathroom, rooms also include a desk and plenty of natural light for budding artists or guests who need to work while in residence. Time Out Tip: Want to know more about the life and times of David Larwill? Guests can join an in-house Art Advocate on a free tour of the art displayed throughout the hotel.